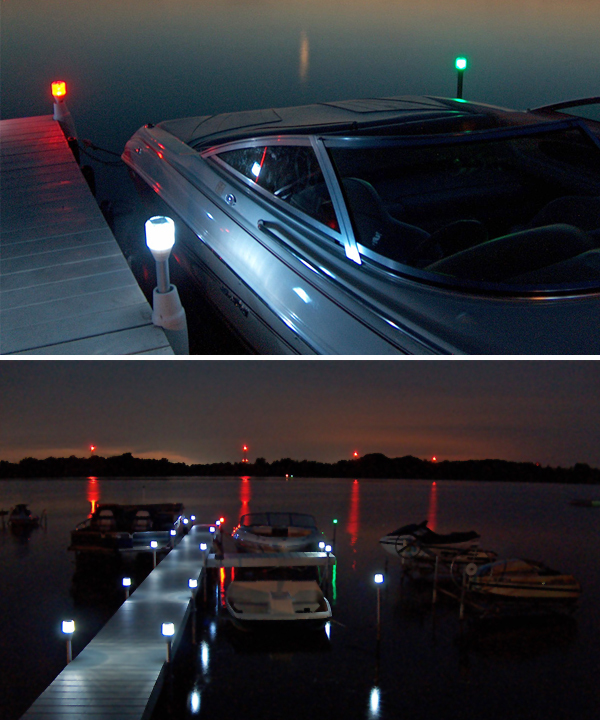 The Solar Dock Lite™ is an easy cost-effective way to ambient light to your dock, pier or pathway. These are sold in sets of two. They can be mounted on various sized round, square and rectangular standard post sizes used for marinas, docks and piers or used on Brock Dock Post Covers. Best used in groupings, our solar dock lights provide soft illumination to delineate docks, railings, walkways or railings and add visual appeal. 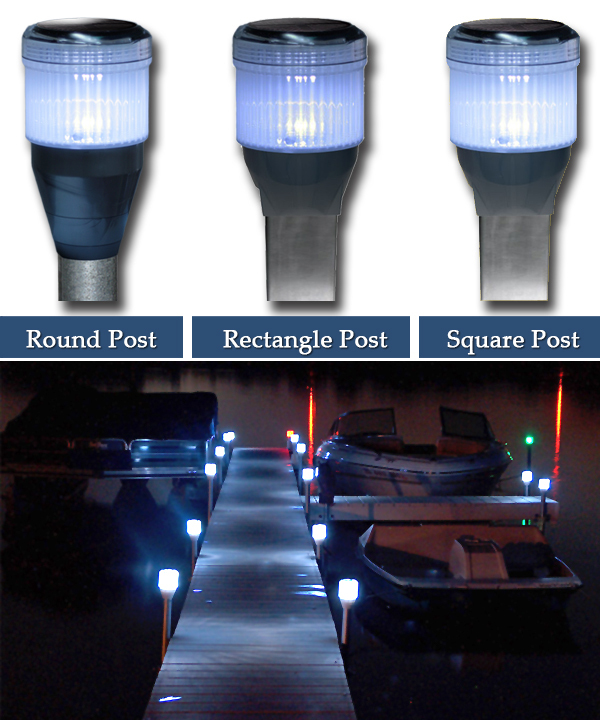 These lights help boaters see where your docks are and add safety land side. Solar Dock Lites easily mount to standard size posts (various round, square or rectangular posts options available), including those most often used in marine environments. By day, a quality solar panel stores energy into rechargeable batteries that power the lights for up to 18 hours on a full solar charge. The lights automatically turn on at dusk and off at dawn, or until the solar energy is expended. Multiple units, sold at discounted prices, let you reduce the chance of anyone hitting your dock, add tasteful light, and enhances your property's safety without for the cost and disruption of installing electricity lines. With an IP 65 Water Proof rating, the are designed for fresh water environments. If used near saltwater, the lights will have substantially shorter lifespans.